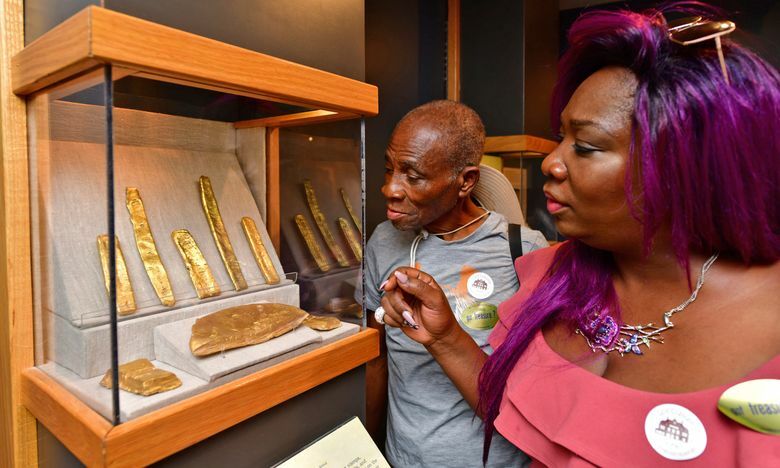 KEY WEST, Fla. (AP) — Two thieves await sentencing for stealing a 17th-century gold bar from a museum in Key West. Jarred Alexander Goldman of Palm Beach Gardens, Florida, was found guilty Wednesday of conspiracy and theft of a major artwork. That artwork was a bar of gold recovered from the 1622 wreck of a Spanish galleon off the Florida Keys. Weighing 74.85 ounces and valued at $556,000, it disappeared from the Mel Fisher Maritime Museum in 2010. Authorities say Goldman stood guard while Steven Johnson of Rio Linda, California, lifted the bar from its display case. The FBI recovered only a fragment, sold by Johnson to a man who testified for the prosecution. Johnson pleaded guilty in late April. Sentencing for both men is July 23.